Son Dam Bi�exposed her close friend�Heechul. On October 18 airing of�tvN's 'Life Bar', Son Dam Bi joined as the guest and shared,�"I was close with Heechul since our trainee days. It's been about 15 years. Heechul is a safe zone. He used to carry me home when I get drunk. "�Son Dam Bi added that she thought Heechul was gay and said,�"At first, I was suspicious. I thought he was a person of 'that world'." Heechul commented,�"I only show interest in the girls I'm interested in." 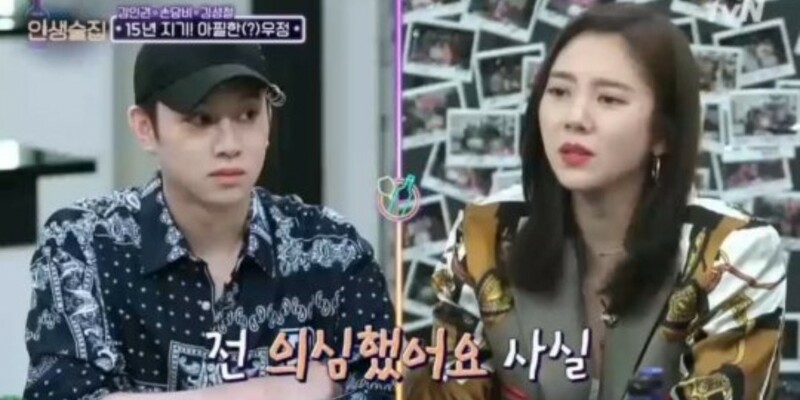 To this, Son Dam Bi shared,�"There are many celebrities Heechul is interested in. He likes young idols. "�Heechul reacted flustered, and said,�"Stop it. I'm going to expose all your boyfriends!" "At first, I was suspicious. I thought he was a person of 'that world'." Heechul must love and hate when close friends appear, he can expose them but they can also expose him in return.